Establishing an integrated communication channels has been an essential means of doing business. Playing a key role in the transmission of information among the various levels of organization, it can easily affect the functionality of a business. With the increasing demand of customer care services and technical support facilities, the role of voip phone system are also gaining new momentum. If you are in need of such an effective telecommunication network for your organization, then B2BCOMZ can help you with the best possible solutions. Our team of skilled professionals can offer leading edge solutions that will cater to all your communication needs. At B2BCOMZ, we provide the most advanced and top quality office phone systems that are easy to use and manage. If you are searching for a smart choice of telephone system to introduce a dynamic communication method, look no further than the commander phone systems. 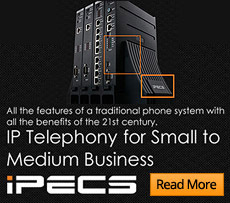 These stable and expandable digital telephone systems are easy to set up and install. Commander phone systems from our store can offer all round management for your business and improvement of communication lines. B2BCOMZ can offer you a complete business telecommunication solution that can streamline information resources and processes. Installing a commander phone system in your office environment can give you an edge. Get connected with B2BCOMZ and reap the economic and functional benefits of this leading edge communication solution.